There is no denying that Boulder’s craft industry is thriving. People are willing to support local, specifically in regard to “craft” wines, beers and spirits, but what some aren’t discussing are the thriving cideries and meaderies who are gaining popularity in the arena, as more folks explore alternatives to beer in the modern craft movement. With all of the competing trends, it’s hard to keep up with the folks who poured the foundation of Boulder’s craft industry. 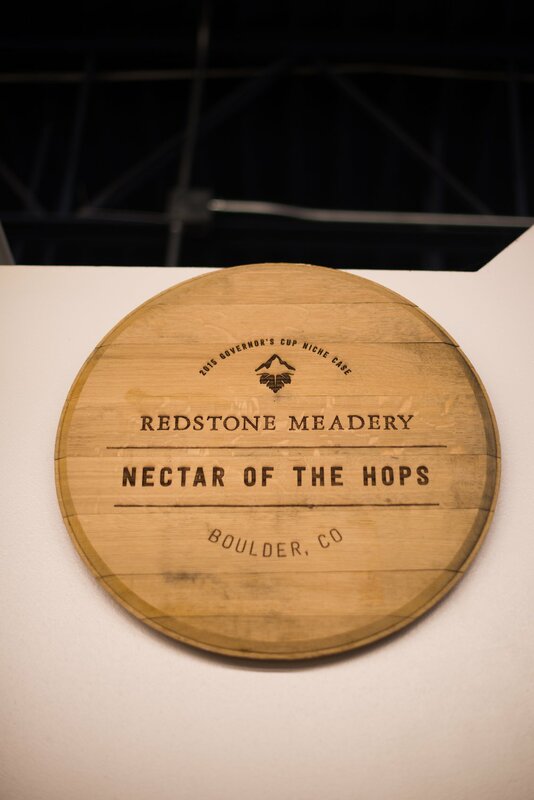 Redstone Meadery was established 15 yeas ago by Boulder home brewer, David Myers. Mead is a honey wine made from fermented honey, and it is a drink whose history is centuries old. Some say mead is the first alcoholic beverage consumed by man, as honey is a natural preservative and its antibacterial and medicinal properties are what make it unique. 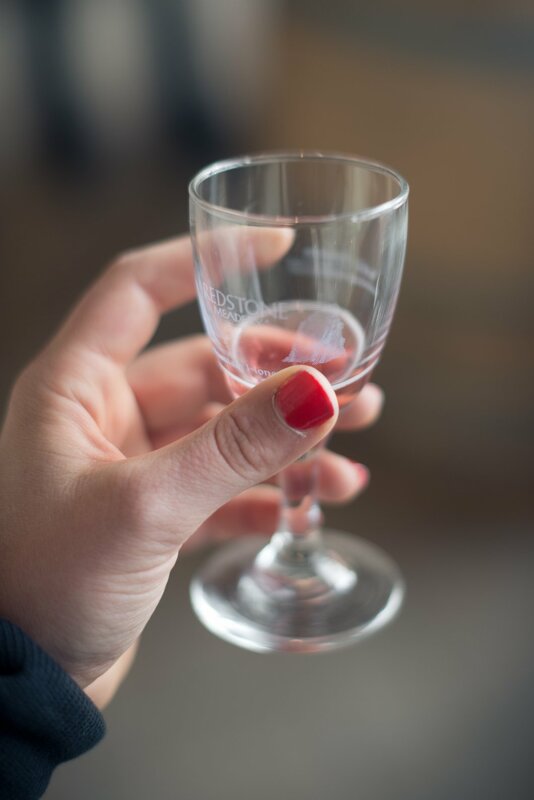 Oh, did you know honey and water naturally ferment into mead? Yes, it’s true. We checked. Despite its historical longevity, and clearly an impressive presence in the mead scene, many of us at Eat Drink Boulder have not tasted mead. The few that had tried it were only familiar with the more traditional meads similar to Redstone’s Traditional Mountain Honey Wine, but because we are trend followers, we figured we’d embrace this as an opportunity to support a local business, learn a thing or two and enjoy a mellow afternoon of imbibing…*for free, because tastings to the public are always free, but check ahead if you are interested in taking a tour. 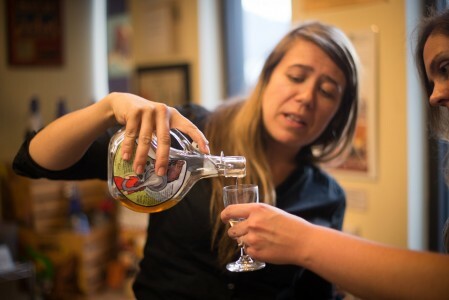 The results: We learned that we knew nothing about mead and how versatile this little drink is becoming. 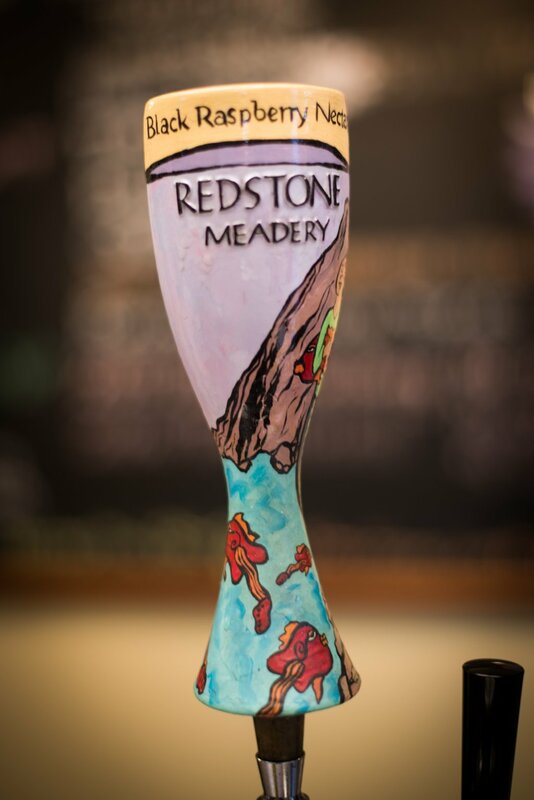 The first in the country to feature its beverage through a tap system, Redstone has continued to be on the cutting-edge of ancient technology meets modern-day mead brewing. Whether pushing boundaries with its innovative flavors (one of the first to can their session sparkling mead called “Nectars”), an experimental barrel aging program (try the limited release Tequila barrel-aged Traditional mead) and hop-forward styles (try the Nectar of the Hops which is dry hopped Nectar), to its self-distribution of more than 110K bottles to 35 states and counting – everything is done here in Boulder by hand (and some machines) and we think that is pretty Sweet! (Get, it? Honey joke?). Redstone Meadery Production Station. Redstone bottles, labels, packs and ships every single one of its products here in Boulder by hand with only a handful of employees. This is the Traditional Moutain Honey Wine bottling station. So Why Drink Mead and Why Redstone Meadery? 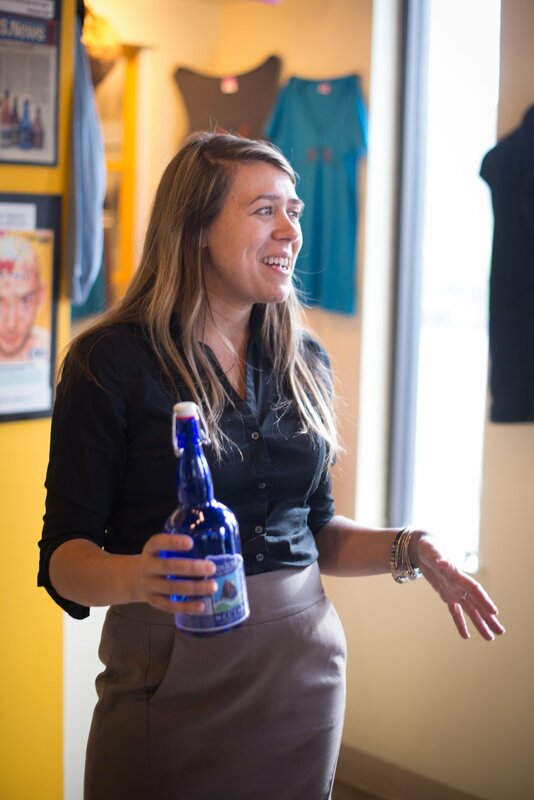 Jessica Simon, sales manger slash mead aficionado slash professional bottle-top popper is one of six Redstone employees, and was also our official tour guide for the evening. Jessica greeted us at the entrance with tasters of a pink, effervescent liquid. This turned out to be the Black Raspberry Nectar – the company’s bestselling product. The Nectar was fruity upon first taste, with a slightly more dry finish. The carbonation was reminiscent of champagne, but the drink had a similar viscosity to honey in its mouthfeel. 8% abv, whereas traditional mead comes in around 12%. Sunshine Nectar and Nectar of the Hops are sold in cans, which are perfect for hot summer days, festivals and the outdoors. During our visit, we got to try the Sunshine, Boysenberry, not-yet-released Apple, Passion Fruit and Nectar of the Hops Nectars, as well as several varieties of Traditional Mountain Honey Wine (mead). Out of those, the Passion Fruit was the group’s favorite. Passion Fruit Nectar was released in September 2015 as the newest in the collection. It was approachable, tart, refreshing, fruity and tropical, and we were told it complements Asian and spicy foods quite nicely. Redstone Meadery’s Nectars can be mixed into cocktails (mimosa anyone?) or easily enjoyed on their own. Sunshine Nectar can be ordered as a mimosa at Tangerine Restaurant (*call ahead for availability), making for a perfect accompaniment to lazy weekend brunch. One of the many benefits of mead is it is naturally gluten free, is somewhat lighter to drink than wine and in many ways compares to cider. It is a good gluten-free option for those who want to consume some fine Boulder craft beverages and cocktails. I compared to a dry-hopped cider. Redstone’s knowledge of mead and mead variants alone is worth the visit. I even heard about their experiment with a sour mead, which did not turn out successful, but am hoping more can develop in that area in the future! I am looking forward to their special release of a whiskey barrel-aged mead, which sounds delightful. For the wine lovers, like Anastasia, the Sunshine Nectar is a great alternative to champagne, with the honey giving more mouth-feel and depth to the bubbles. There is also a style of mead called “pyment” where grape juice is added to mead. 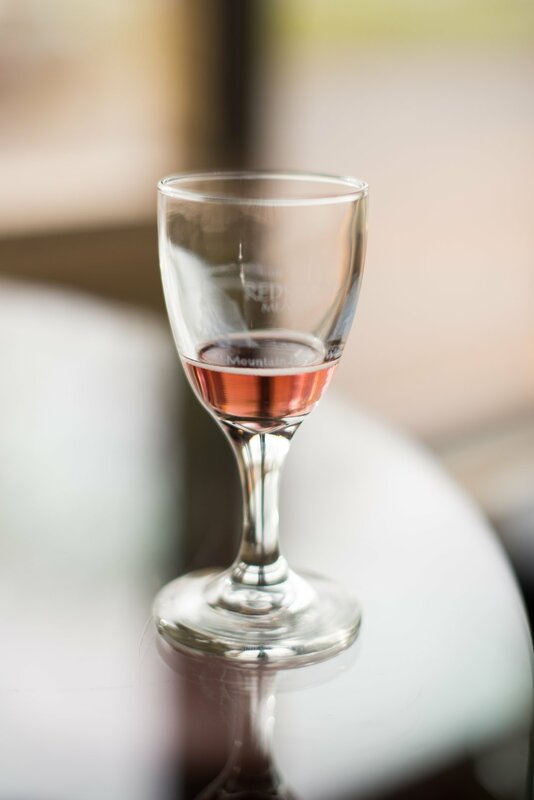 If a decision to drink wine or mead is hard to make, pyment may be the solution, though we were unable to sample this concoction during the tasting. Jessica Simon pours Rachel a Redstone Reserve taster. Ask about their Redstone Reserves, which are secret recipes and one batch of each is made per year. 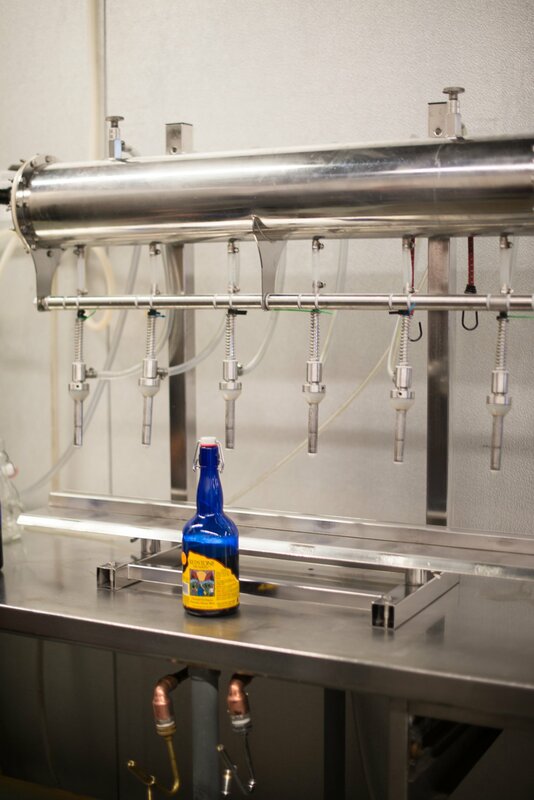 They take five years to make from start to finish and are usually bottled at 10 years old. 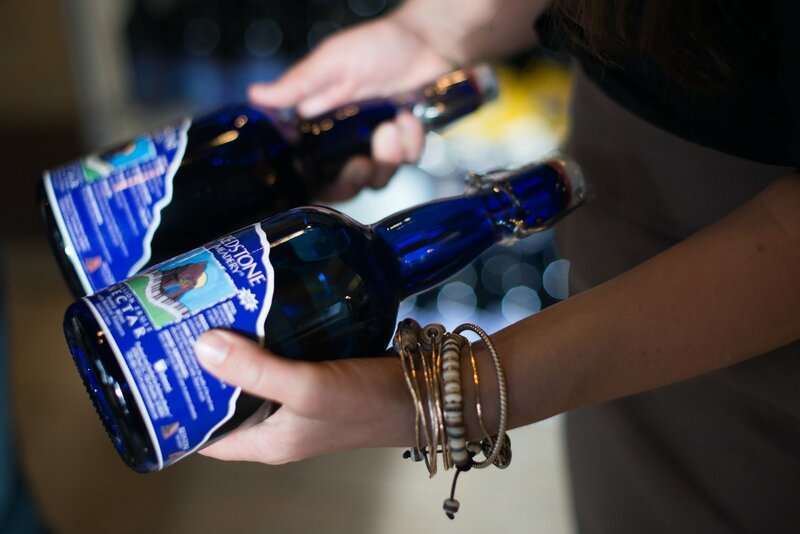 They take 900 pounds of selectively sourced natural honey to make, which results in a 13.5% abv, port-style mead. They are fortified with additional honey after fermentation. We tried the 2006 Traditional and the Black Raspberry, which would serve as a delightful dessert wine, or a satisfying post-meal digestif. Redstone also sells delicious chocolate truffles that are filled with Black Raspberry mead. (Make sure to eat the truffle whole to avoid mead exploding down your shirt). Happy sipping!